Dodge Durango owners are not afraid to drive anywhere. Road hazards such as small rocks, bits of metal, sand and other contaminants are picked up by the tires and thrown against the vehicle’s sides. This causes pits, dings and dents in the fenders and vehicle body. Prevent this by installing fender flares made for the vehicle’s particular year and model. Off-road debris cannot penetrate the flare to cause damage to the finish, either. 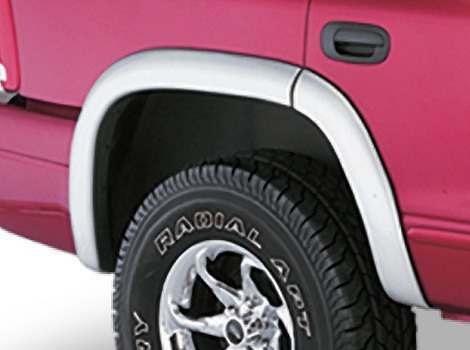 Select the proper size fender flare according to the truck’s make, model year and the vehicle’s most rugged use. Wider tires and off-road driving will require more coverage with wider flares. 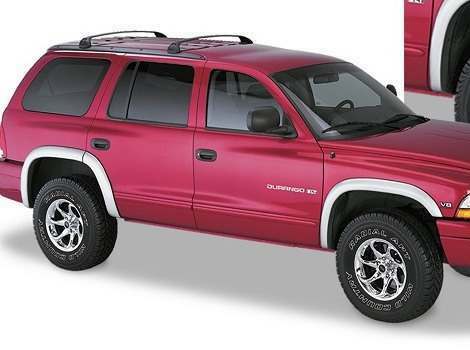 Find the right fenders for your Dodge Durango as well as many other vehicles at Part Catalog. Different styles allow you to create a look that fits your particular style.